The idea that the Cars would reunite for a new album since their last one in 1987 may have been unfathomable given the number of years apart, the New Cars, and the death of founding bassist/singer Benjamin Orr. But they did with Move Like This and it’s a strong return to form. A good indication of that is the new album’s opening track “Blue Tip,” which recalls late ‘70s period Cars: Greg Hawkes quirky keyboards, Elliott Easton’s piercing guitar, DavidRobinson’s propulsive steady drumming, and Ric Ocasek’s impassive vocals and quirky lyrics. 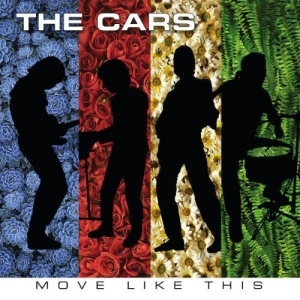 It’s sets a positive and promising tone for the rest of the album that this is vintage Cars but for 2011: rockers such as “Sad Song,” “Free” and “Hits Me” seem to echo the band’s late ‘70s output, while “Keep on Knocking” and “Take Another Look” evoke the stadium feel of Heartbeat City; “Soon” is one of the band’s loveliest ballads since “Why Can’t I Have You.” Orr is sorely missed on the new album and that is undeniable; still, Move Like This is a really fantastic welcome from this band and seems to put things in full circle after that 24-year estrangement.